Dragon Ball New Age – Volume 1 is a fan manga by an American artist. How does it compare to Akira Toriyama’s masterpiece? Akira Toriyama – The Master of Manga provides an easy to follow summary of Toriyama’s life, career and success in Japan. But is it worth buying in French? An in-depth review of The Dragon Ball Z Legend: It says on the cover “An essential source for every anime fan”. To that, book cover, I say you are wrong. 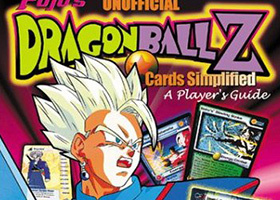 An in-depth review of Pojo’s Unofficial Dragon Ball Z Cards Simplified: A Player’s Guide book. A very detailed and informative read.